If you need a set of random numbers, you will find that generating random numbers is easier said than done, especially if the random numbers must be unique. 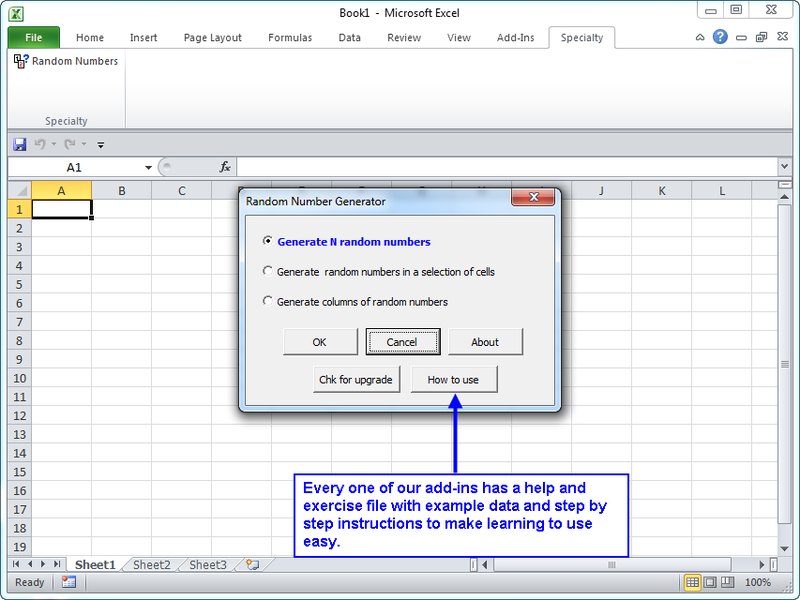 Our Random Number Generator add-in for Microsoft Excel allows you to perform this task quickly and easily. It is compatible with Microsoft Excel 2007 to 2019 and Office 365. 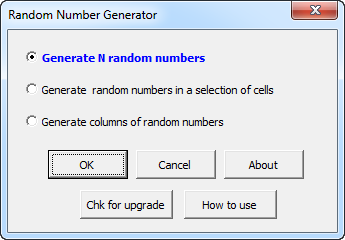 If you select the first option, you are prompted for how many random numbers to generate, the starting and ending values and if the numbers should be unique. The second option allows you to fill a selected range with random numbers. The third allows you to generate columns of random numbers. Generate the output to a new workbook, a new worksheet, or pick the destination. Generate random number across many columns so that you can create a large table of random numbers. Select just a range of cells and have it quickly filled with random numbers.